Limited to 300 copies (in this version / colour)Opaque Halloween Orange Vinyl w/ Black SplattersGatefold EP7" with exclusive artwork created by Alma Mater designer Joao DiogoLimited & Numbered edition"I WILL SEE YOU IN MY DREAMS its our zombie tribute song!" 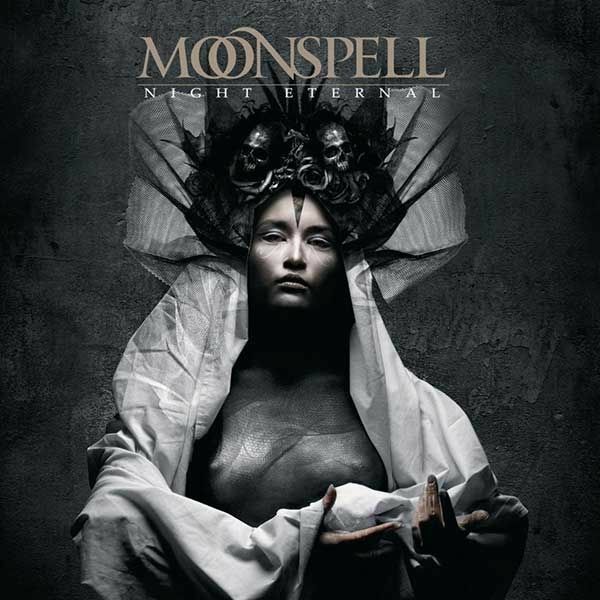 declares Moonspell mastermind Fernando Ribeiro, about thissong. Its slow and fast, repulsively melodic and totally Death Metal inspired, as we think if zombies formed a band theyd have to play death. Were huge fans of the style, namely Romero, and this song that now sees the light of the day via our own ALMAMATER RECORDS, was a challenge and it encloses two curiosities: - the original is a Jazz standard; our version was made toanswer the challenge from FILIPE MELO(director, play writer, pianist, author) who had the balls back in 2003 to produce andrelease a zombie movie made in Portugal. Happy halloween, i will see you in my dreams, now! Limited to 300 copies (in this version / colour)Transparent Blood Red Vinyl w/ Black SplattersGatefold EP7" with exclusive artwork created by Alma Mater designer Joao DiogoLimited & Numbered edition" "I WILL SEE YOU IN MY DREAMS its our zombie tribute song!" declares Moonspell mastermind Fernando Ribeiro, about thissong. Its slow and fast, repulsively melodic and totally Death Metal inspired, as we think if zombies formed a band theyd have to play death. Were huge fans of the style, namely Romero, and this song that now sees the light of the day via our own ALMAMATER RECORDS, was a challenge and it encloses two curiosities: - the original is a Jazz standard; our version was made toanswer the challenge from FILIPE MELO(director, play writer, pianist, author) who had the balls back in 2003 to produce andrelease a zombie movie made in Portugal. Happy halloween, i will see you in my dreams, now! Limited to 500 copies worldwideGatefold LP10", Transparent Red VinylNew and exclusive artwork by Joao Diogo Pereira (Alma Mater designer)Remastered by Tue Madsen (2019)Says Fernando Ribeiro, Alma Mater CEO:MOONSPELL has always tried to be about the songs we write. We never wanted to reinvent the wheel. We werenever seen ourslelves as progressive or groundbreaking. 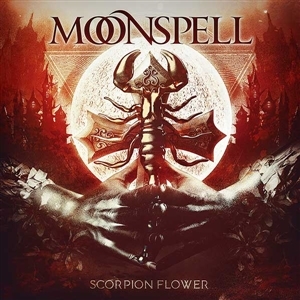 That ism for us, of little interest when compared withthe chance of songwriting and form a solid body of music with the songs you wrote and decided for an album.Scorpion Flower is one of our songs that was mostly and carefully crafted as a jewel. Its the most melodic songof a quite in your face album and people say its beautiful. Female singers want to join us on stage to sing thatsong, girls feel the sting of the scorpion, and guys to get smell the flowers and thats what a song is for: to leavean impression.Any text about Scorpion Flower wouldnt be completed without a reference to the "original female singer"Anneke V.Giersbergen who paved the way for those who followed. We wanted the original and she came downwith a smile and left us with maybe one of her most memorable vocal contributions to a song.The importance of this song as center piece in the divide of our carrer, as we left Century Media and joined SPVranks, is now fully complete with the release of this single. Thank you so much and let us steal your mind for awhile.